Today’s post is actually an insider’s guide to the best things to do near Bucharest, including day trips from Bucharest, attractions for kids, families, and couples. So if you lack inspiration for your vacation in the area, read on and update your trip planner! Go kayaking on Snagov Lake. You will have the opportunity to paddle through lily-pads, or under the canopy of the forest, but also to gawk at some opulent homes on the lake’s shore. The experience can make one have mixed feelings. 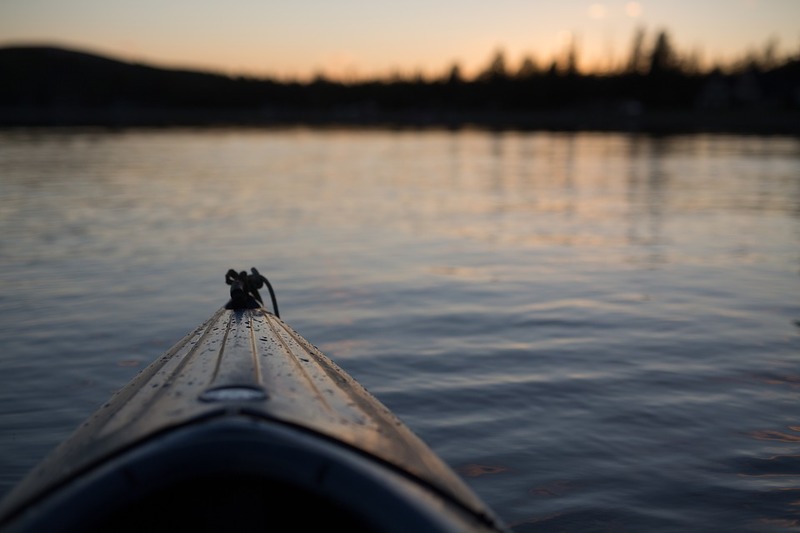 In the summertime, there are lots of motorboats crisscrossing the lake and caring little if any at all, about the fact that people in kayaks, might get troubles with the waves stirred up by the motor. Also, you should prep in advance, meaning to have with you a zip lock bag for your phone and papers, and bringing some sunscreen and having an extra (dry) pair of shoes is also a good idea. My group usually rents the kayaks from Artha park. Distance: 40 km. Cycle through the woods of Comana Natural Park – a protected area situated in the administrative territory of Giurgiu County. 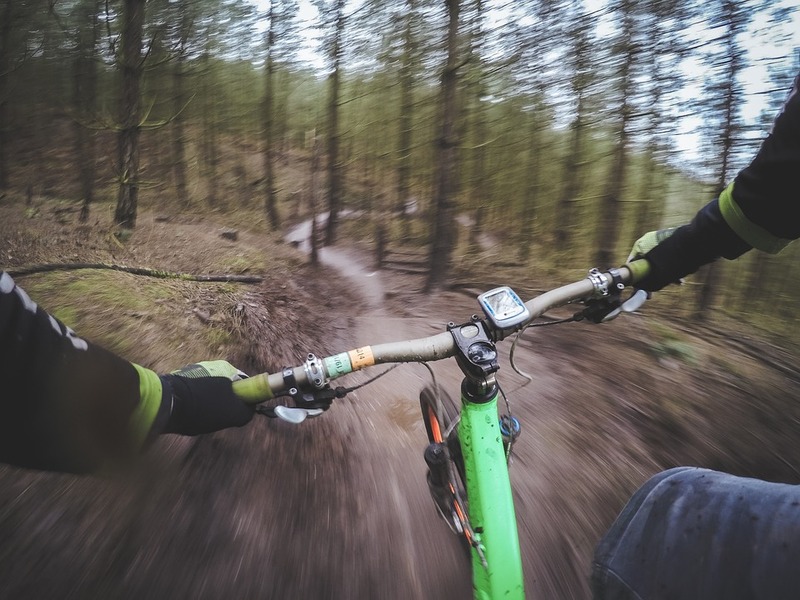 You will have to bring your own bike, and either find a group to go with, or try several routes already mapped by bike lovers. Distance: ~40 or 60 km – depending on where in the park you want to enter. Go to a picnic at the Mogosoaia Palace, gardens, and park. Picnicking is something that many inhabitants of Bucharest love to do in summer. When the sun is out and the weather is hot, there is just no beating the lively ambiance of a classic picnic. Although there are many places where you can unfold a blanket and take out the wine and a good book, only a handful of spots are really fantastic. So It is worth going there early taking a tour and choosing the best sport for you. Distance from the center: ~17 km. Spend the day at the zoo: The Bucharest Zoo is a great place to spend the day with the kids. Set in Baneasa, the place is a bit outdated, but at least admission is cheap. Also, beware of the fact that there is no food or drink to be purchased inside, so make sure you come prepared. Watch lions and tigers play while enjoying some quality time with your family. For solo travelers, the zoo is a great place to relax and take some very cool pictures. 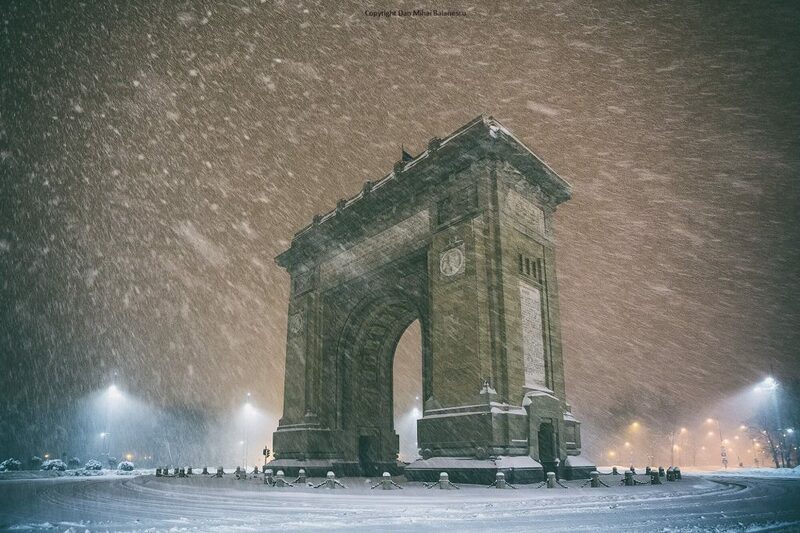 Distance from the center of Bucharest: ~14 km. Relax at Therme – Europe’s largest thermal water Park – open all year round- it has a tropical atmosphere and an ideal temperature of 29-30 degrees. Relax in the thermal pools, or have a therapeutic experience in one of the 10 thematic saunas, get a massage, or just soak in a Jacuzzi – everything is just a couple of kilometers away from the city proper. Distance from Bucharest’s Center: ~22km. Visit the ruin of the Chiajna monastery – a place of worship people say was never really blessed, and that started degrading when the plague hit the area around 1800. This cursed place is connected to murders, strange disappearances, and illnesses. Adding to the mystery of the place is the fact that at times the church’s bells are still being heard, although they were melted decades ago… Distance: 13 km. Take a long walk around the Stirbey estate. 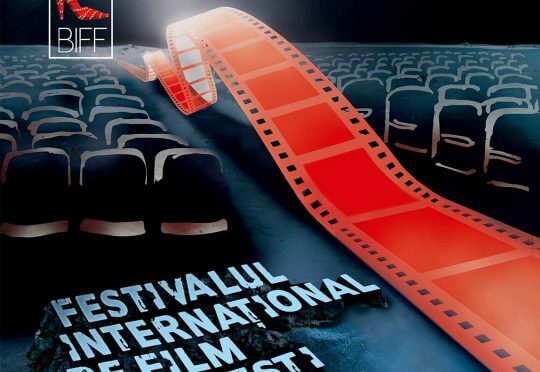 Located in Buftea, ~20 km away from Bucharest this is a great place to visit, and to appreciate the calmness of nature. Some parts of the property were recent restored/improved. There is a restaurant, a chapel, a water tower and the whole domain is, in fact, a huge park, with old trees, and an inner lake. 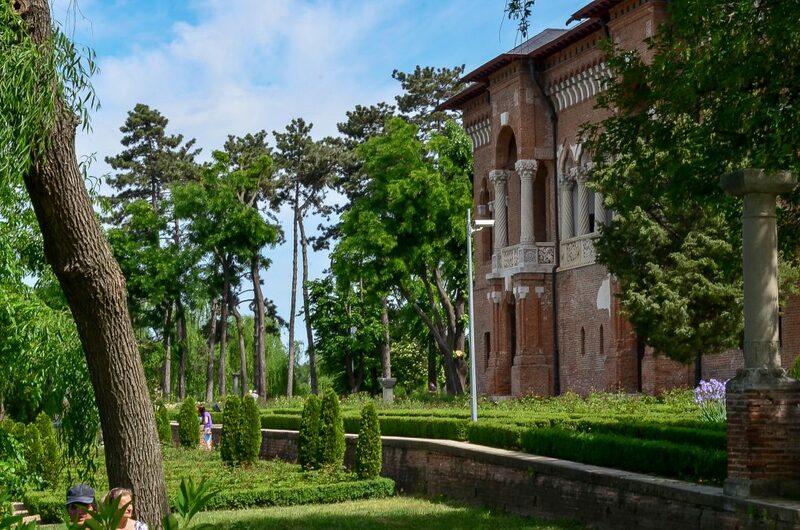 It is one of the most beautiful and well-preserved aristocratic domains around Bucharest and it makes for a great choice for a half day trip with the family. Take a day trip to Dracula’s Castle: By now everyone (and probably their mother too) heard the legend of Dracula. While the real man behind the legend is not quite as depicted by the legend, visiting Bran castle, and also the city of Brasov is a great way to discover the real story while spending a day outside Bucharest. On your way to Bran Castle, do not miss the Royal Palace of Pelisor in Sinaia city. There are tours offered by many different tour guides and you will learn a lot about the history surrounding this part of Romania. While in Brasov, you should take some time to visit The Black Church and the surrounding “Sfatului Square”.. Distance from Bucharest to Bran Castle: ~170 km. Visit the Peles Castle in Sinaia – built for King Carol I, the building is a neo-renaissance palace (although it is referred allot as a castle) and is preserved very well. With plenty of rooms worth visiting and a museum as well, this makes for a fun day away from the capital city. Distance from Bucharest: ~120 km. Climb through the canyon of 7 Scari (seven ladders), near Brasov. The canyon is opened from March to November (if the weather is good) but the best time to visit is in summer when at least for a day you are guaranteed an escape from the city heat. 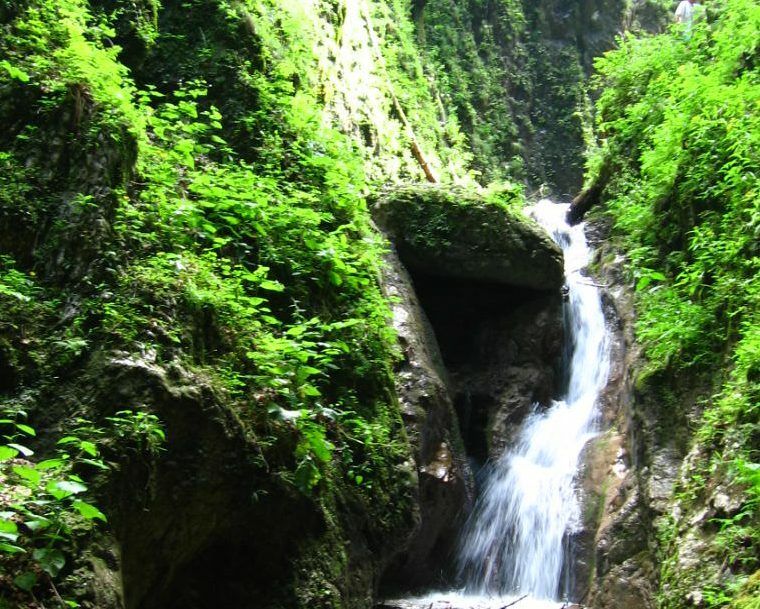 A one hour hike is needed to reach the entrance in the canyon. And you should be a bit familiarized with hiking and climbing to be on the safe side. 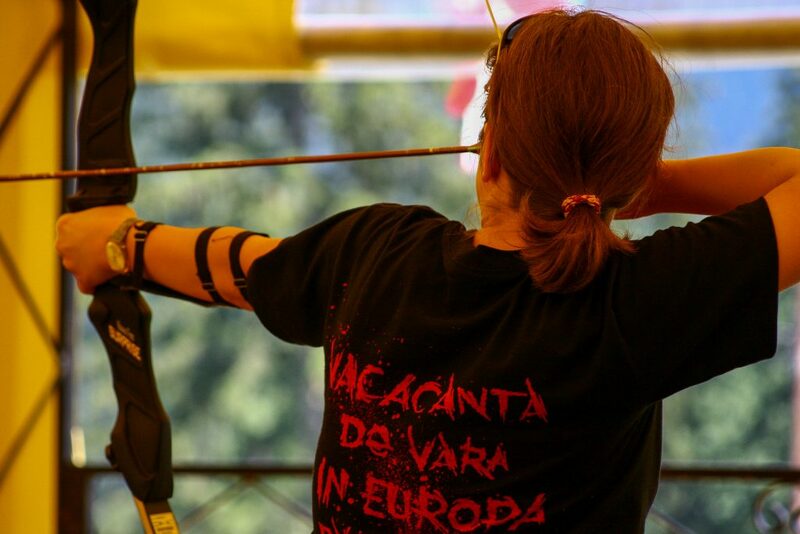 Try your hand at archery in the Rasnov Citadel – a historic monument and landmark situated in Râşnov, Brașov County, in the immediate vicinity of Brașov. Aside from the ruins, and the stunning views, I personally love to go there and try my hand at Axe throwing. The kids usually get a kick out of the tractor ride uphill and riding horses or mules. 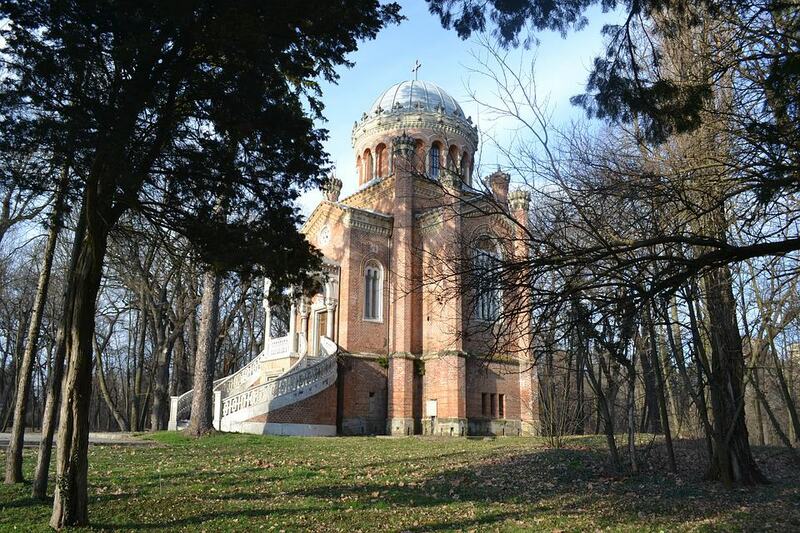 The Golescu family Mansion and domain (Domeniul Golestilor) near Pitesti is yours to explore! 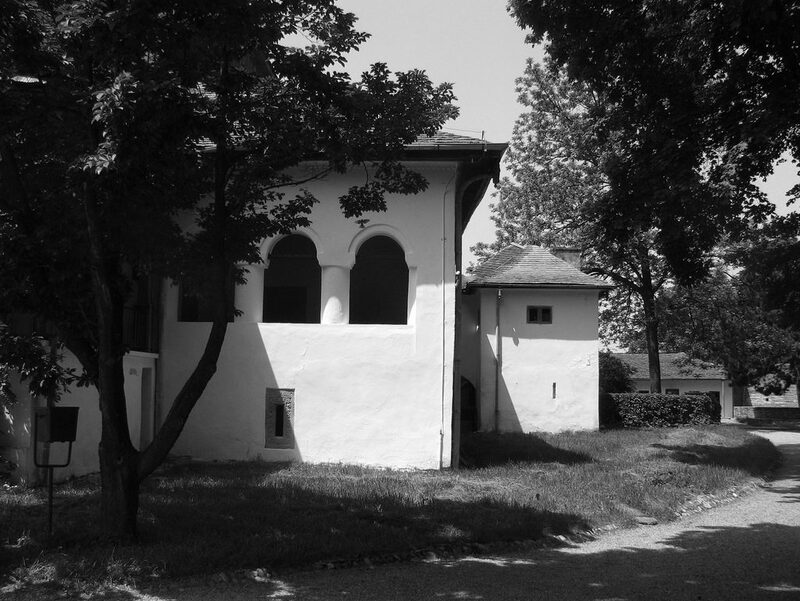 The mansion of Golescu family was built in 1640 and it is the only fortified laic construction from the country which dates from the medieval period. The mansion was surrounded by tall brick walls and cannons were installed in the defense towers. In 1646, Stroe Leurdeanu erected the church nearby the mansion, which combines the mountain influences with those from Moldavia, Armenia, and Near East.Today the complex consists of a building that housed a school, a wine and orchard museum, a church, an orchard and a village museum with several traditional houses. Families with youngsters will also appreciate the playground area and the equitation center where they can enjoy horse and pony back rides. 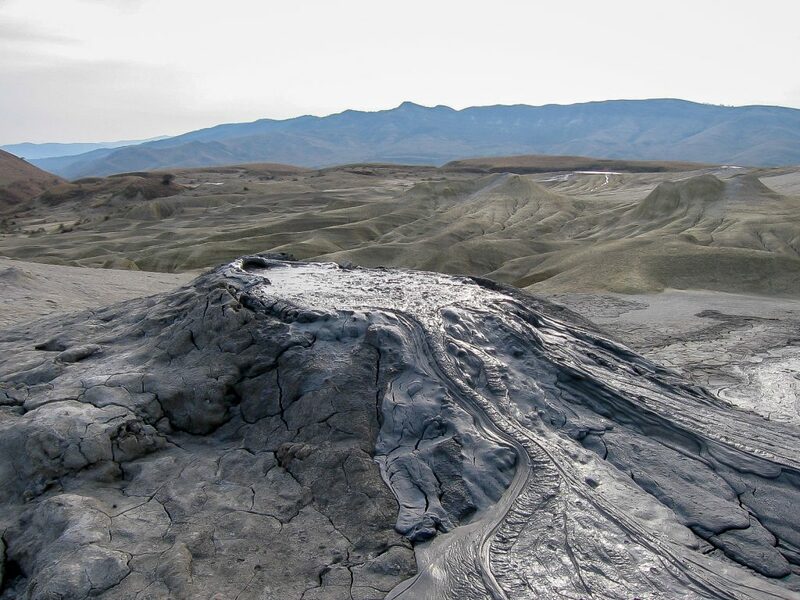 Don’t be a stick in the mud and climb up to the Berca Mud Volcanoes, in Buzau County – You will enjoy a spectacular space-like landscape. This is one of those day trips from Bucharest that require you to have a car at your disposal or find an organized tour. Situated at about 140 km from Bucharest, this other-worldly place is worth the trouble and there’s no wonder why it is featured in several music videos from Romanian artists. 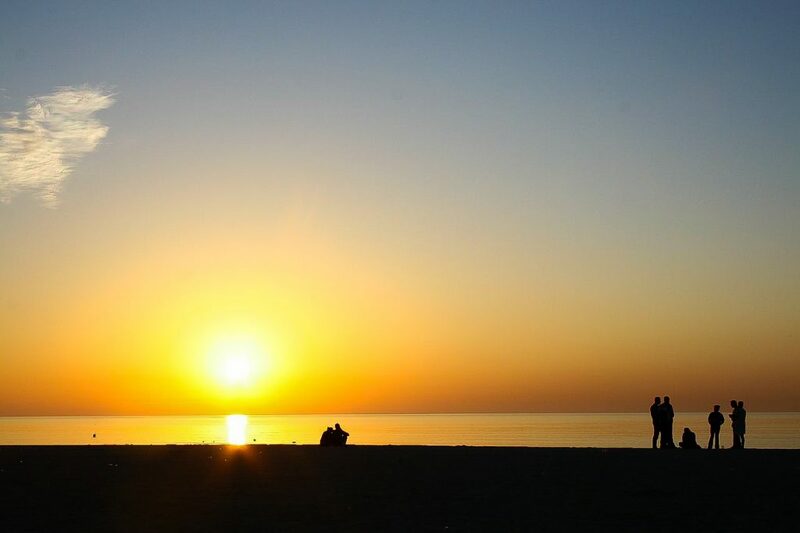 Soak up the sun in Constanta City and Mamaia Resort! – this one is for those of you who like a crowd and feel at home in clubs or on the beach. – You could Go to Constanta by train, during the summer there are several trains each day from the North Railway Station Bucharest. 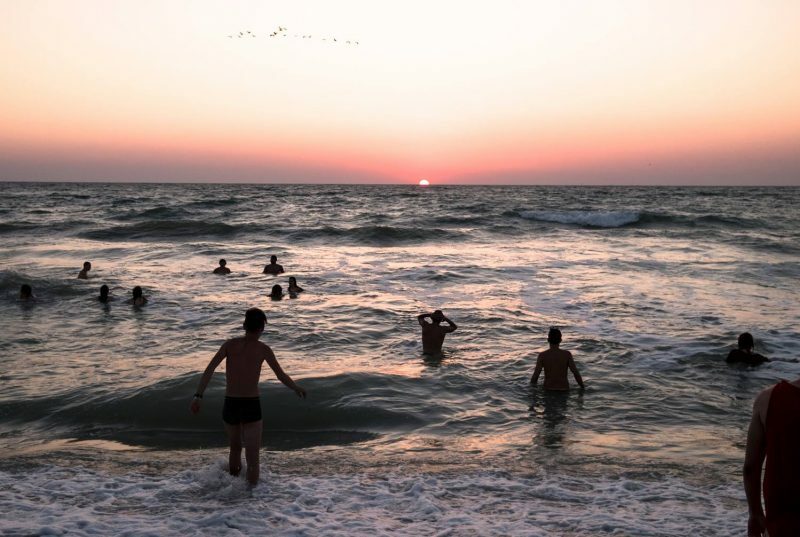 Catch the sunrise in Vama Veche– a small village on the Romanian border, famous for its parties, and bars, but that also has some scuba diving and snorkeling potential, in the right season, with its dive center. Old Hippies, artists, hedonists, bikers and bearded hipsters mingle in a natural way. If you are into dancing all the night, sleeping on the beach and letting it all go for a while, this is the perfect place. A bit crowded in high season, but that is because it is on everybody’s list of ” two-day trips from Bucharest “. Explore the Danube Delta – This unique place is worth visiting for more than just a couple of days – it usually takes the better part of a day just to reach your destination in the delta. 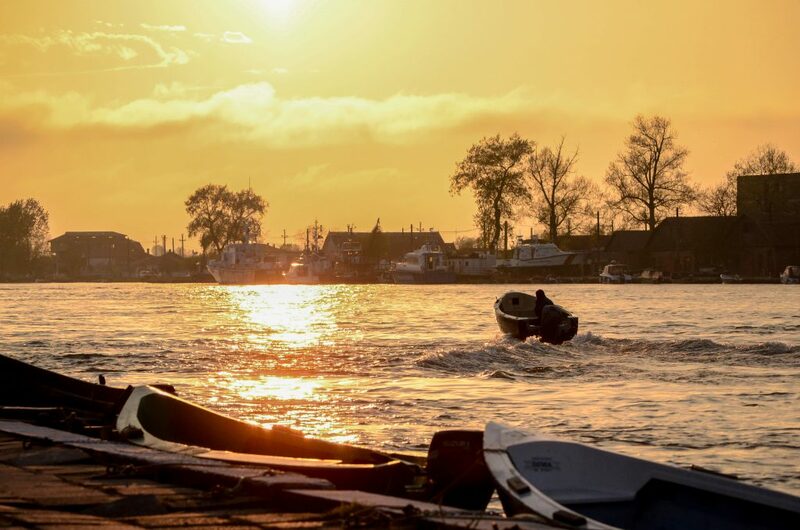 For those that love bird watching, fishing, roaming in a boat on canals and lakes, discovering interesting fauna, culture, and history – the Danube delta has plenty to offer. You can enter the delta from the continent (in Tulcea) or reach it by sea – from Constanta (only in high season). It makes for a great destination for several days, but should one choose so, he can get a glimpse of what it has to offer in a shorter time frame. Learn to say “hello” in Bulgarian , in Veliko Tarnovo – if you feel like changing the culture, language air, and country for a couple of days – just 185 km away from Bucharest is Veliko Tarnovo- the old capital city of Bulgaria. This wonderful place has an old town with a Mediterranean air. It is full of colorful buildings clinging tot he side of the hills that overlook the Yantra river. There is also an old church (st Peter), a state art gallery and several other places worth visiting. Great restaurants and bars, plenty of souvenir and artisan shops. Want to add your own things to do near Bucharest or day trips from Bucharest to our list? Write your comment in the box below and perhaps we will include it in this article. 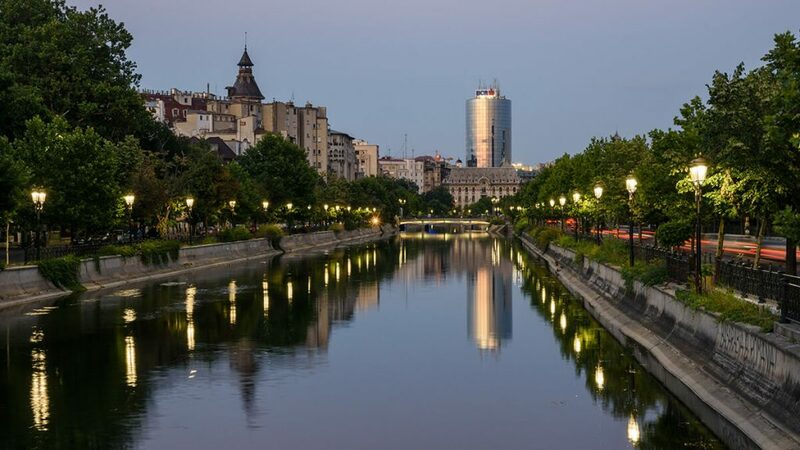 If you are looking for things to do in Bucharest, you might wanna check out what to do in Bucharest in one day or our blog post about top 15 Bucharest attractions! Or perhaps you might use some tips advice and general traveller information about Bucharest and Romania!